Beatport 등의 사이트에서 찾으실 수 있습니다. 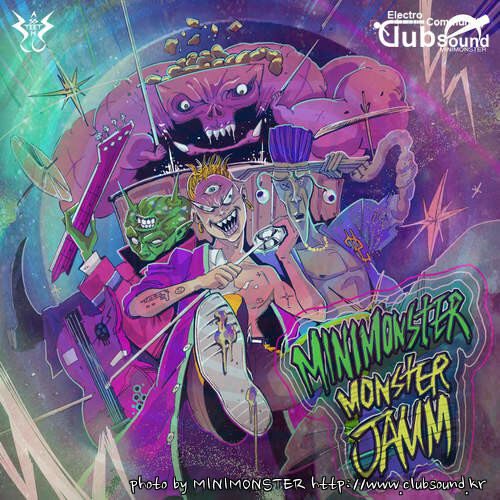 Monster Jam은 MINIMONSTER가 예전에 밴드를 하면서 했던 기억을 떠올리며 만든 곡이다. 그것을 반영하여 밴드의 Jam하는 모습을 담아내었다. We play music in space, We make you feel high. But we don't have any script, any plan, it's all played like a jam. 가서 에서 알 수 있다. 현재 몸담고 있는 INVADERz Crew의 느낌을 담아 외계행성클럽에서 밴드공연하는 컨셉으로 만들었다.